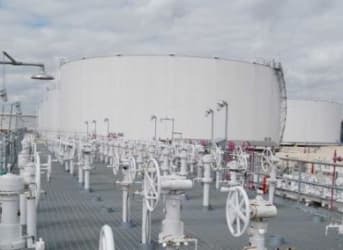 The US is poised to become a major exporter of liquefied natural gas (LNG) in the coming years, with the first shipments leaving the Gulf Coast by the end of 2015. But while Asia is the core of the export market, the US’ southern neighbor could turn out to be an unexpectedly strong consumer of American LNG, according to SNL Financial. There are a few reasons for this. First, Mexico’s natural gas production is declining, resulting in a large and growing need for imported gas. Mexico has struggled to stem the decline in its oil and gas production over the past decade, which was the impetus to pass a historic energy reform law intended to attract international investment. The second reason that strong LNG demand is likely from Mexico is the fact that the country’s power sector demand is growing. That will leave Mexico hungry for American gas. And it won’t just be LNG that will be heading to Mexico. In fact, natural gas exports through pipelines are an even more attractive option. With prolific gas fields in Texas – the Barnett, Permian, and Eagle Ford shales – Mexico is in a prime position to capitalize on cheap natural gas. With Mexico a sure customer, US drillers see a growing market for their fuel, which couldn’t come at a better time. US natural gas prices are at multi-year lows. Record levels of production have rapidly restored depleted storage inventories, with the prospect of a glut looming in the second half of this year. Exporting to Mexico would offer a crucial lifeline. Still, for now, Mexico appears set to import a lot more American natural gas in the near future. Fracking will be growing worldwide, so production will grow as fast as demand. Prices should remain low for many decades. The US is a net importer of NG. Will we import Canadian gas and then export it?? ?